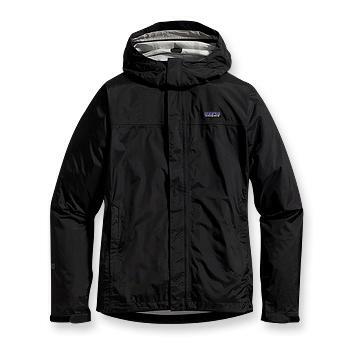 I was in the NYC Patagonia west village store a few weeks ago to replace my EMS soft shell jacket. While I was there perusing all the goodies I commented to one of the reps that my Patagonia rain shell was breaking down. He told me to bring it in and they would replace it. I was skeptical. On Friday with out a blink they proved me wrong and I’m now a Patagonia brand loyalist. I’ve flirted with outerwear from Mt. Hardware, EMS, and Arcteryx over the years but Patagonia made it easy to convert me. I got fair use out of my prior jacket with trips to Asia, hikes in Scotland, and many a day of spring skiing. “No worries”, the store manager said just take better care of this one by cleaning it more regularly and I learned that light heat in the dryer was good for it. Cool. In fact the ROI of giving me a new Torentshell jacket has already paid off. I bought some Patagonia shoes that were on sale at Zappos. Score one for brand marketing done right. It is all about the product and I’ll happily pay the Patagonia premium for that level of service.